Despite the ongoing trend towards an open plan office environment, blindly following this trend could be could be costing your business. Why use partitions in an office space? 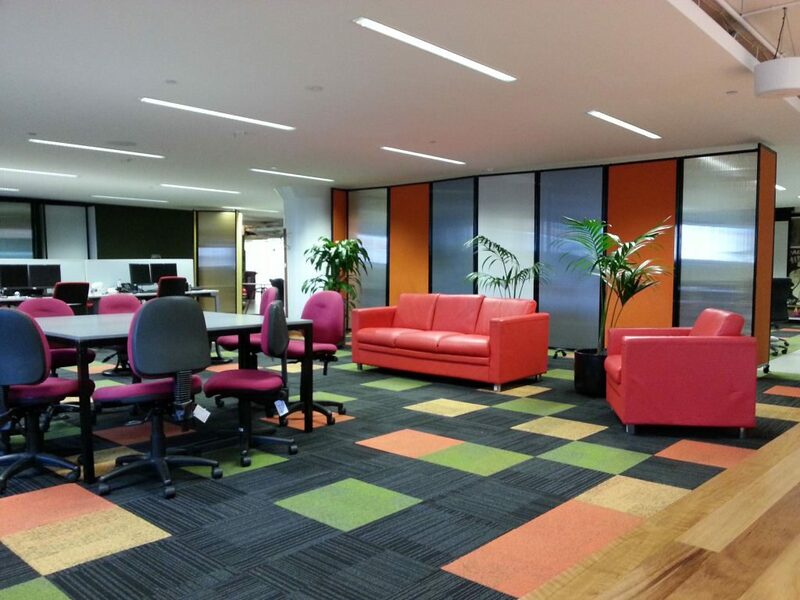 Open plan offices are often implemented with the belief that they increase collaboration and is key to many organisations. But how does forcing workers to do everything out in the open affect employee health and productivity? 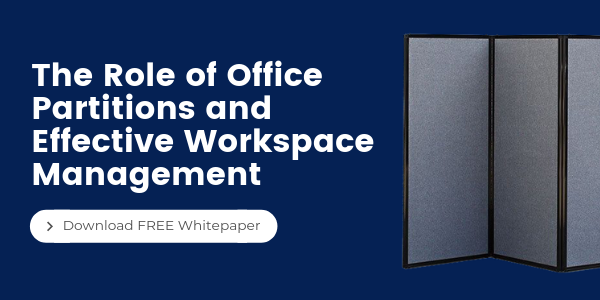 The right office partition solution can help strike a balance between collaboration and concentration by sectioning off areas for special uses and reducing annoying and distracting office sounds. Finding the right solution that matches your organisations space needs and budget can be a challenge. How to strike balance between collaboration and focus. 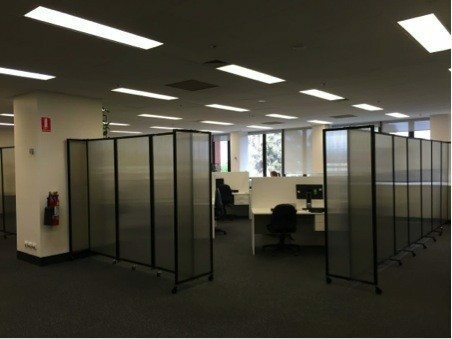 How to factor in the long term costs of fixed and mobile office partition solutions. The key things your business needs to consider when selecting office partitions, fixed walls and workstations. 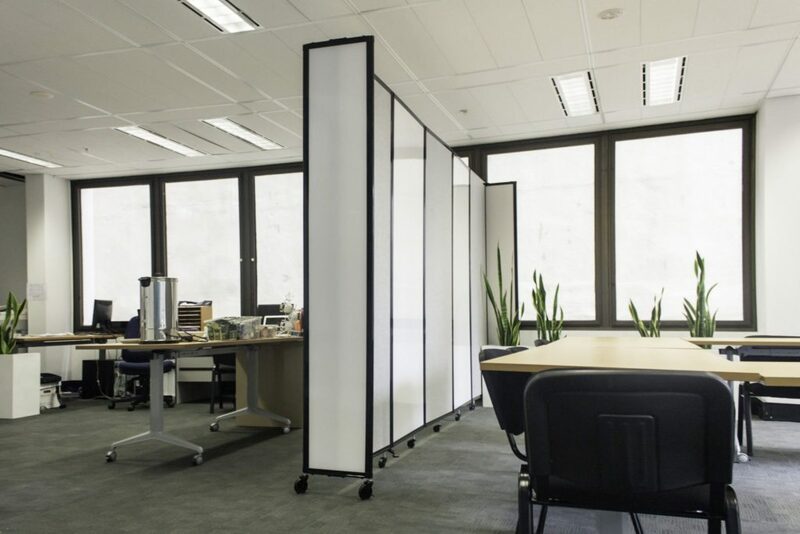 The average costs and benefits of the four main kinds of office partition solutions. This image shows the partial transparency of the polycarbonate office partitions. 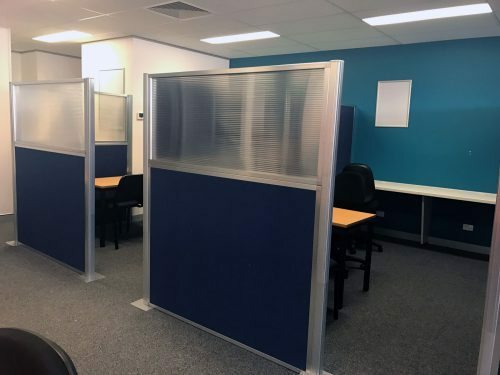 We know that many offices need spaces for training, functions, workshops and meetings but simply do not enough room to have different sized rooms for different activities. Here at Portable Partitions, we believe maximum space versatility and adaptability is critical to running a productive and healthy office. It is for this reason we specialise in freestanding and wall mounted office partitions, which provide incredible performance whilst maintaining maximum flexibility. We offer a range of products that are purpose built for office or corporate settings. They are designed to provide a temporary or semi-permanent solutions whilst offering maximum flexibility in terms of room configuration. There is nothing worse for a growing business than costly building work every time new spaces need to be created. All this hassle and expense can be avoided by using versatile and flexible office partitions and dividers. Why choose the portable solution? Sound absorbing materials are used on many of our office dividers, thus creating excellent noise barriers. A private space, split space, meeting room, training room or break out area can be created in a matter of seconds – for however long it’s required. You still have the option of fixing the structure, but still have the option of moving and relocating should things change.